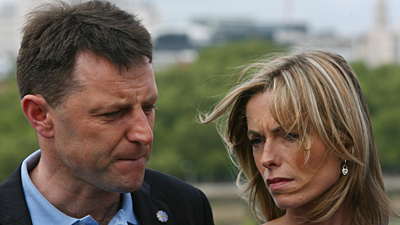 Speaking after the event at the National Theatre in London, Kate McCann said all missing children deserved the publicity given to their own daughter. "It's vital. Obviously our memories will be with us for ever but we are relying on everybody around the world to help us find our children and I do believe we all have a responsibility to help with that," she said. 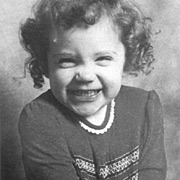 Madeleine was three years old when she disappeared from the Portuguese resort of Praia da Luz in May 2007. Her father, Gerry McCann, said: "Children go missing all over the world and we want to make sure that when these tragic events happen the best possible chances of children being reunited with their families is put in place." May 25 was designated Missing Children's Day by then-US President Ronald Reagan following the disappearance of six-year-old Etan Patz from New York. In the UK an estimated 100,000 children go missing each year, according to the Children's Society. Most are returned home within a week but an average of six children each year are never found. 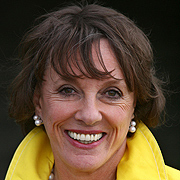 ChildLine founder Esther Rantzen told the audience the plight of missing children needed more worldwide attention. She said: "I used to think the most terrible grief a family could face was the death of a child but I now realise that having a child who is missing when everything is unresolved is even worse and leaves them in perpetual pain and torture." Among the audience were the parents of toddler Ben Needham, who disappeared in 1991 on the Greek island of Kos, and Natasha Lee, whose two-year-old sister Katrice vanished from a Naafi supermarket in Paderborn, Germany in 1981. Ms Lee said: "Without days like today there's a possibility that all those missing children will be forgotten. We all deserve our answers we all deserve to have our children, our sisters our brothers back in our lives." The UK's National Missing Person's Bureau became part of the National Policing Improvement Agency (NPIA) in 2008. NPIA has announced plans to relaunch the existing Child Rescue Alert system nationally. The amber alert system is similar to one used in the US and aims to ensure officers respond within the so-called "golden hour" when a child goes missing. Chief Constable Peter Neyroud, head of NPIA, said: "We get virtually every single (missing child) back but it's the "virtually every single one" that worries me - a small number of cases where kids do get abducted or they come to harm, and that's the thing we're trying to prevent." Wristbands and badges supporting the forget-me-not campaign to bring missing children home are now available in Tesco stores.